Endorsements and a special election voting guide for Tuesday’s general elections are on the PVF website. 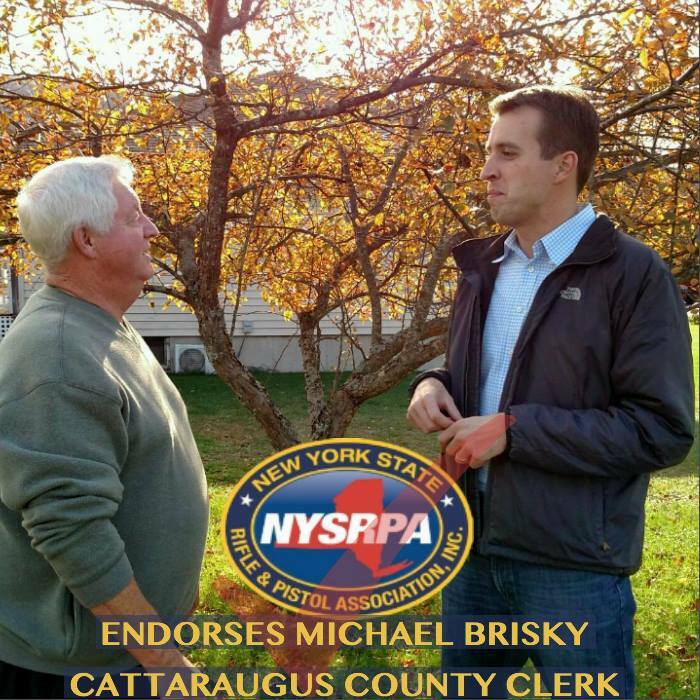 If you approve, donations to the NYSRPA-PVF can be made online here. Gun control is not a defining subject in the presidential campaign by any stretch of the imagination. By political heartburn they mean effectively ending Andrew’s presidential aspirations. This just shows how out of touch Cuomo is. The Brady’s were long ago supplanted by Bloomberg/Everytown. His delusions on the issue are what got him in trouble in the first place. If he wants to advise Hillary on it more power to him. This would probably be more effective if Cuomo were thought of a national political leader in general, not just gun control. I don’t see more than a handful of other governors going along with him. Mayor Bloomberg has been trying this for years and it has not worked out too well. Stealing ideas from him is all the Brady’s have left. Sure they do. That is why Cuomo is not included in any ’16 presidential polls. Wisconsin Congressman Paul Ryan appears to have sufficient support to become the next Speaker of the House. Ryan had previously been endorsed by NRA so I don’t think gun rights will be an issue with him. However, I would like to see him be more aggressive at pushing the issue than the wimp John Boehner was, especially the reciprocity bill. This is essentially a rehash of the deal that nearly bankrupted Smith & Wesson. Manufacturers will never go for it and neither will Congress. This is just more of Chuck’s grandstanding before an audience he knows is unlikely to check up on his record. 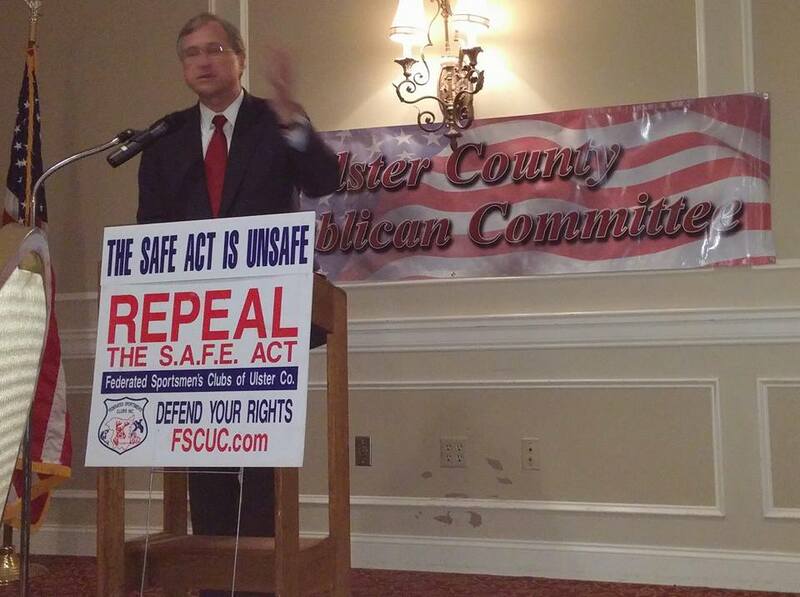 State Republican Party Chairman Ed Cox was speaker at last night’s Ulster Co. GOP dinner. Why anyone would want this super-tool at their event is a mystery to me, let alone making him Guest of Honor. I’m guessing he does not even know what the sign means because standing in front of it makes him look like an even bigger fool than people already think he is. To the surprise of no-one, the 2nd Circuit upheld most of the SAFE Act. We’ve said all along it would have to go to SCOTUS and that is the next stop after the 2nd Circuit. The decision underscores the need to have higher quality judges on the bench. To that end we’ve endorsed 3 candidates for state supreme court and 3 candidates for county courts this year. While the SAFE lawsuit moves through the federal, not state, court system, the more good judges we have at all levels of the judiciary the better. Question: Why would a candidate walk away from an issue with such popular support? Answer: When the polls aren’t true. Last week Sen. Liz Kruger suggested gun control advocates join to NRA to undermine it from within. Giving credit where it is due, it took balls to make a statement like that. It is exceedingly rare for a NYC politician to even consider the notion that some people may have different ideas and beliefs from their own, let alone try to investigate them. No, they don’t as most live inside the arrogance, elitism and ignorance of the NYC/beltway bubble. The first thing Mosley is going to learn is that the Daily News does not tell the truth on the issue and unless there is a national toilet paper shortage, there is no reason to buy that newspaper. Good for him. However, the second thing Mosely is going to learn is that the last thing many of his colleagues want is any sort of discomfort. They were elected by the Tammany machine specifically because they will do little but vote with the party leadership and keep their seats warm. More like a handful of the nuttiest Democrats are talking about gun control. Most know it is a political stinker, especially for their party. If the majority of them in Congress were hot about it Obama would have a lot more political leverage on the issue and put up more than the lame effort he is right now. The only broad support for gun control is coming from crap media outlets like the Times. If there was genuine support among the general public Congress would take note of it. Which is true. Where is the energy and passion from the antis? Probably true in so far as it draws attention away from more serious issues like the fact that Vladimir Putin thinks Obama is a joke. This is more baloney Bloomberg bought and paid for. The general public is most certainly not urging Congress to act. Why would they do that if indeed what Josh Earnest said were true? Even if it largely exists only in their own minds. As I have said many times before, the antis do not have an ability to turn out people to vote on their issue. There is a huge difference between having a person agree with an idea and going out and acting on it. Show me where there is a serious effort by the antis to get people to register and vote for candidates based upon their gun control stance. Anything Hillary says during the primary will come back against her in the general election. 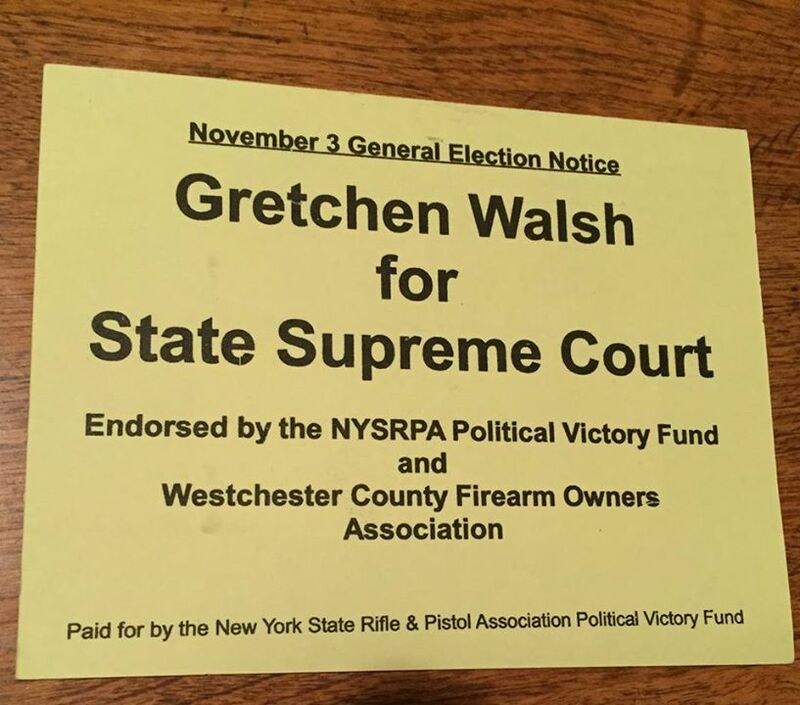 By opening her mouth now, she has given time for gunnies to raise money and organize people in opposition to her. Unless she is expecting Mayor Bloomberg to personally cut her a $100 million check, why bring up the issue now? All she has done is raised millions of dollars for the NRA.